Changes to the historic Carson Park Baseball Stadium could be underway as soon as this August. The Carson Park Renovation Group announced recently that they are already one-third of the way toward meeting their fundraising goal of $3.5 million. Three groups have generously pledged $550,000 over a 10-year period to the project, and the city has agreed to help pay half of the expenses, excluding the pledged amount. That leaves only $1.75 million more for fundraising efforts to complete the project, the Leader-Telegram reported. Updates to the stadium haven’t been made for more than 20 years according to Phil Fieber, retired city parks director and a member of the Carson Park Baseball Renovation Group. Planned improvements include permanent bleachers along the first and third base lines, climate-controlled restrooms, concession areas, and water and sewer service to both restrooms and concessions. It will also include artificial turf for the field, which will save the city an estimated $40,000 in mowing and other maintenance, according to WEAU 13 news. 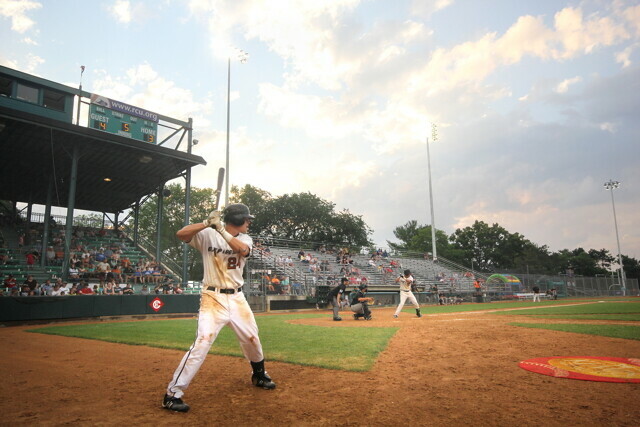 The renovation group is hoping to acquire the remaining donations before July so the project can begin this year, otherwise it might be pushed off until a future time so that there is no interference with ongoing baseball games. If you are interested in donating to the project, please contact Fieber at (715) 271-5686.